Decorators have been satisfied with our services for years. Using our range of fabric & trims enables them to let their imagination come up with many ideas for their clients. We not only make scatter cushions but seat and back cushions which may have been damaged and in need of repair or zip replacement . 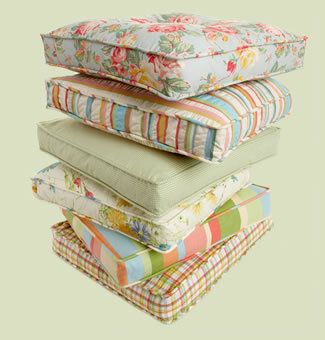 We can help with boat or caravan cushions no matter the shape or size. We can supply fabrics and cushion inserts for outside use which will help repel mildew if they get damp.